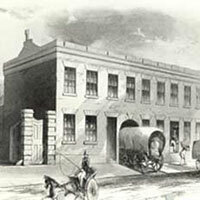 In 1847, the Cadbury brothers' booming business moved into a new, larger factory in Bridge Street in the centre of Birmingham. 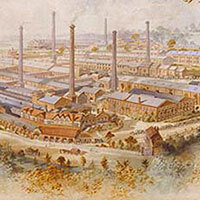 The new site had its own private canal spur, which linked the factory to the Birmingham Navigation Canal and from there to all the major ports in Britain. 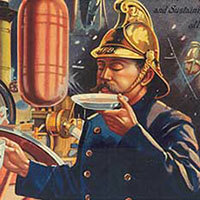 The turning point for the Cadbury business was the introduction of a new processing technique, resulting in the 1866 launch of 'Cadbury Cocoa Essence', the UK's first unadulterated cocoa. Before Cocoa Essence, the cocoa Cadbury produced, like that of many other manufacturers, contained high levels of cocoa butter. They had to add starches to mask its taste and texture. But George Cadbury had heard about an innovative cocoa press being used by a Dutch manufacturer called Coenraad Johannes van Houten. The press squeezed out much of the cocoa butter from the beans so it wasn’t necessary to add starches. Could this be the way forward? Buying the press was a massive gamble. It was expensive and the brothers had little money. It had to be used for mass production and no one knew if there’d be enough demand for the product. 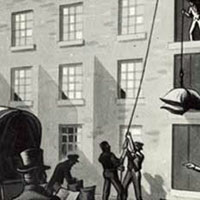 But the Cadbury brothers decided to go for it - the first British manufacturer to go down this route. It was a momentous step, one that changed the British cocoa business and led to the future prosperity of Cadbury. The press was installed in their factory in Bridge Street, Cadbury Brothers’ new product appeared. Cocoa Essence was extensively advertised as 'Absolutely Pure. Therefore Best’, alongside medical testimonials. 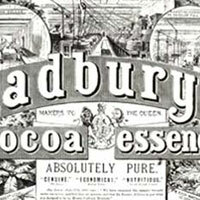 The marketing of Cocoa Essence helped increase sales dramatically and transformed a small business into the worldwide company that Cadbury is today. In 1875, a Swiss manufacturer called Daniel Peter added milk to his recipe to make the first milk chocolate bar. This wasn’t a completely new idea. Cadbury produced their milk chocolate drink based on Sir Hans Sloane’s recipe between 1849 and 1875; and Cadbury added their own milk chocolate bars in 1897. However Daniel Peter was still way ahead of them – using condensed milk rather than powdered milk to produce a chocolate with a superior taste and texture. Another Swiss manufacturer invented the conching machine in 1879. This refined chocolate, giving it the smooth texture we know today. Swiss milk chocolate dominated the British market – a situation the Cadbury family set out to challenge in the 20th Century. Boxes of chocolates had been produced at Cadbury since the 1860s, but they were expensive, sold in small quantities and would only have been bought for very special occasions. Milk Tray was different - a chocolate assortment, affordable enough to be an everyday treat. The name Milk Tray originated from how the chocolates were sold. They would be put out in trays - one Milk Tray and the other known as Plain Tray - to sell to customers. By the mid 1930s it was outselling all its competitors. Later, in 1961 the packaging was made more sophisticated and in 1971 a William Morris-style pack was introduced. In 1978 it changed again to an elegant pack with a white orchid on the purple background. Milk Tray of course became hugely famous for its 'Milk Tray Man' TV commercials, featuring a daring, dark and handsome action hero who dives off cliffs, pilots helicopters through storms and speed boats over waterfalls; and tag line 'All because the lady loves Milk Tray’. Today, over eight million boxes are sold every year. 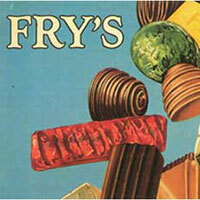 Cadbury bought Frys in 1919 and the company grew, producing delicous chocolate on a grand scale, so it could be enjoyed by everyone. Cadbury already had close links with J.S. 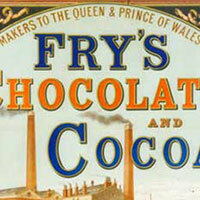 Fry & Sons Limited and in 1919 they signed an agreement, creating a new holding company, the British Cocoa and Chocolate Company, to take over the assets of both businesses. A new site was found for Fry’s outside Bristol, at Keynsham, and this was named Somerdale. The Fry’s business had many good things going for it including Countlines which were popular in America and Canada. They were chocolate bars with different centres - Crunchie, Fudge and Picnic are all tasty examples -and got their name because they were sold by bar, not by weight. 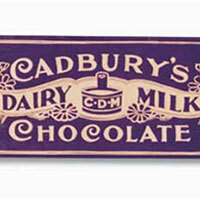 At its launch in 1905, Cadbury Dairy Milk started out in pale mauve with red script, in a continental style 'parcel wrap. The full Dairy Milk range became purple and gold in 1920. 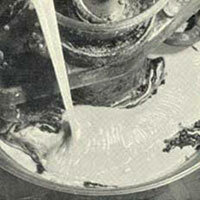 The 'crumbliest flakiest chocolate' was first developed in 1920. A canny Cadbury employee noticed that, when the excess from chocolate moulds was drained off, it fell in a stream and created flaky, folded chocolate. From that simple observation came a mouth-watering new chocolate bar! It started off as a Cadbury Dairy Milk product with a see-through wrapper. The yellow wrapper appeared in 1959, without the 'Dairy Milk' label. Sales of Flake quadrupled in the 1970s with the popularity of the sensual TV commercials showing beautiful, bohemian Flake Girls enjoying luxurious 'Flake' experiences. It was originally used in 1928 on press and posters, but since then it's been in TV ads and on wrapper designs where you can still see it to this day. First of all it was just on Cadbury Dairy Milk but it's become the face of the company in recent years. 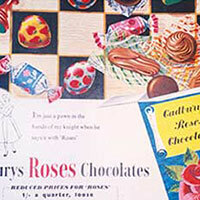 Cadbury Roses were introduced to compete in the twist wrapped assortment market. Early designs incorporated a sampler or embroidery rose design which was later replaced by a simpler rose. 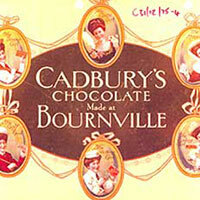 Bournville, where the chocolates were conceived and produced, was renowned as 'a factory in a garden’. Roses were one of the most popular flowers at the time hence the name for this popular assortment. The early 1lb drum was described as a 'wonderful lot’ of chocolates for two shillings (10p). Bournville welcomes King George VI and Queen Elizabeth on a tour that formed part of the programme of their visit to Birmingham on March 1st 1939. 10,000 employees lined the route to welcome the King and Queen. Once the war ended, the company worked hard to restore business as usual. In due course of time, its efforts were rewarded and sales climbed. Cadbury expanded its biscuit range, launched a lot of promotional work and fended off competitors by keeping a direct distribution system. Imagine a box of Milk Tray Chocolates. Now imagine picking eight of the most popular chocolates – keeping their distinctive shapes – and putting them in a bar! The Milk Tray Bar had a cult following back in the 1970s and people still reminisce about it to this day. 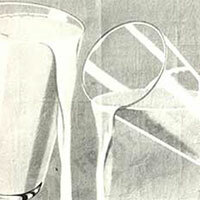 It was originally launched in 1947 and was a favourite through to 1981. Picnic, made of caramel, raisins, peanuts and Cadbury milk chocolate, was launched in 1958. The picnic’s nobbly, funny-looking shape is also one of its plus-points – it’s marketed in Australia as ‘deliciously ugly’! 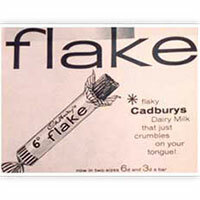 The first ad appeared in a 50-year series – the famous Cadbury Flake Girl. A clip from the ad was also shown in a 1999 ad celebrating four decades of sultry Flake Girls. A button-shaped chocolate sweet with toffee inside. Launched in 1967 and withdrawn in 1971, the packs featured brightly coloured cowboys and Indians. 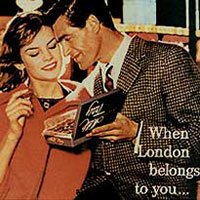 Who could resist the hunky Milk Tray Man, who first delivered a box of chocolates in this year? This action hero piloted helicopters, dived off cliffs and drove speedboats, all to leave a box of Milk Tray chocolates for a lucky lady, along with his calling card of course! The merger happened after the new Cadbury Chairman, Adrian Cadbury, was approached by his opposite number, Lord Watkinson. 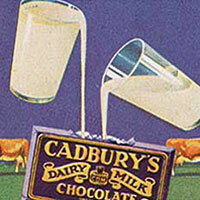 Cadbury commented 'We had great opportunity, which was that of broadening the market for Cadbury brands geographically and that required the concentration of effort behind major brands, the ability to give better value to the customer and more in the way of financial resources than the firm then possessed’. Curly Wurly, made of chewy caramel covered in milk chocolate, first appeared in 1970. It’s evolved over the years - the recipe was changed so that the middle was softer, making the milk chocolate less likely to drop off. It’s still popular and seems to remind grown-ups of when they were young. In 2008 it was voted the best ‘retro’ chocolate bar still in general production. Cream-filled eggs first appeared back in 1923, but the Cadbury Creme Egg we know and love today didn’t hit the shelves until 1971. Sales really took off in 1975 when Cadbury Creme Egg became a cult through the power of TV advertising. The eggs are delivered to the trade for sale between January and Easter every year, with about 1.5 million Cadbury Creme Egg eggs made every day at the Bournville factory. They’re made in two halves, both filled with white and one additionally filled with yellow fondant. The two halves are closed together quickly and there it is - a Cadbury Creme Egg. With its milk chocolate shell, creme fondant and yellow 'yolk’ Cadbury Creme Egg is absolutely unique in the market, and over 200 million of them are sold in the UK every year. Launched nationally in 1983 after a trial run in the North East of England, Wispa was available throughout the 1980s and 1990s. Early TV campaigns used the power of celebrities to create impact featuring comedians and comic actors including Mel Smith, Paul Eddington, Nigel Hawthorne, Victoria Wood, Julie Walters, Peter Cook, John Le Mesurier and Arthur Lowe who talked about it in a series of ads. A teaser campaign in the press asked 'Have you heard the Wispa?’ - but it didn’t divulge that they were ads for a new chocolate bar.Launched nationally in 1983 after a trial run in the North East of England, Wispa was available throughout the 1980s and 1990s. Early TV campaigns used the power of celebrities to create impact featuring comedians and comic actors including Mel Smith, Paul Eddington, Nigel Hawthorne, Victoria Wood, Julie Walters, Peter Cook, John Le Mesurier and Arthur Lowe who talked about it in a series of ads. A teaser campaign in the press asked 'Have you heard the Wispa?’ - but it didn’t divulge that they were ads for a new chocolate bar. Wispa was discontinued in 2003 but relaunched for a limited period in 2007 after an internet campaign to bring it back. Because of Wispa’s popularity during it’s temporarily relaunch, Wispa came back into full production in October 2008. Originally called Coconut Boost – a milk chocolate covered bar with a toasted coconut and caramel centre – this caramel and biscuit has evolved over time.Originally called Coconut Boost – a milk chocolate covered bar with a toasted coconut and caramel centre – this caramel and biscuit has evolved over time. Launched in 1985, this coconut flavour was discontinued in 1994; and 2003 even saw a Boost featuring the caffeine-rich Guarana berry appearing on the shelves, as well as a Boost Glucose for extra energy. The Vic Reeves and Bob Mortimer's much-loved Stagecoach ad in 1992 (complete with surreal strapline ‘It’s slightly rippled with a flat underside’) was a classic of its time. 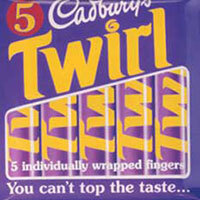 Twirl was developed by the Cadbury Ireland business using Flake technology and it was launched in the UK in 1987. The brand It was originally launched in Ireland in 1985 as a single finger product and became a two-finger product on its UK launch. Factory tours had always been popular but it was impossible to run a factory smoothly if it had thousands of visitors. 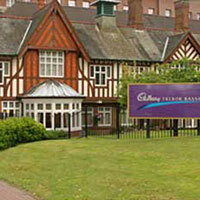 In 1988 Cadbury began planning a visitor attraction to take the place of the factory tours - Cadbury World. It cost £6 million to build, but was worth the expense. In 1990 Cadbury World opened in Bournville on a site next to the Cadbury factory and headquarters, attracting 350,000 visitors in its first year - 100,000 more than were expected. 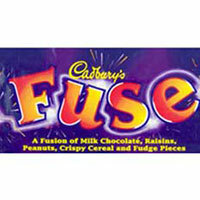 Fuse exploded into the UK marketplace on ‘Fuesday’ 24th September 1996. It was a chocolate bar with a difference – instead of having a milk chocolate coating on the outside, the yummy ingredients were suspended right the way through it. 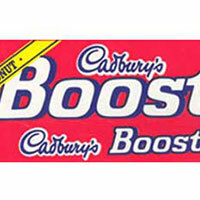 40 million bars were sold in the first week, and within eight weeks it was the UK’s favourite confectionery. Alas, Fuse fizzled off the shelves ten years later, but it’s fondly remembered to this day. 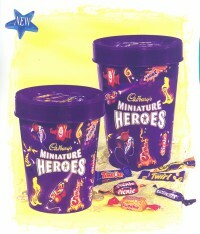 Cadbury Heroes started life as Cadbury Miniature Heroes in September 1999. It’s a simple idea – a mix of miniature Cadbury bars in a tub format to share. The miniature bars include Cadbury Dairy Milk, Cadbury Dairy Milk with Caramel, Cadbury Dairy Milk Whole Nut, Twirl, Fudge and Crunchie. The brand featured as part of Cadbury’s sponsorship of Coronation Street, where people play jokes on each other whilst they share a tub of Heroes. Cadbury Schweppes had the ambition to become the world’s leading confectionery company but it was going to be hard to achieve through chocolate or sugar. Large chocolate companies tended to be family-owned and not for sale, and in sugar confectioners, a field in which there were few major brands. However chewing gum had big brands, growth and margins. In 2003, Cadbury bought the world’s number 2 gum manufacturer, Adams and achieved its aim of leading the market. Gorilla showed the eponymous primate enthusiastically playing the drums on the Phil Collins record 'In the Air Tonight’. It proved hugely popular and cleaned up at advertising awards ceremonies, winning many prizes including the prestigious Grand Prix Lion at Cannes in 2008. Filled with fondant ‘goo’ the Twisted bar was launched to make the Cadbury Creme Egg experience available all year round.Filled with fondant ‘goo’ the Twisted bar was launched to make the Cadbury Creme Egg experience available all year round. It first appeared from the wreckage of a Creme Egg during the ad break for the Champions League final. 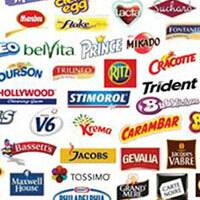 Cadbury became part of Kraft Foods on the 2nd February 2010. Cadbury invested £1 million in restoring the Men’s Pavilion in Bournville to provide employees with a new gym and fitness centre. A new global research and development centre opens in Bournville as part of a £17 million investment in R&D in the UK. The 'Centre of Excellence' includes brand new innovation labs, a test plant facility and a collaboration kitchen to put new ideas to the test. This investment created knowledge, jobs and increased the number of Bournville based inventors from 25 to 250 in just five years! 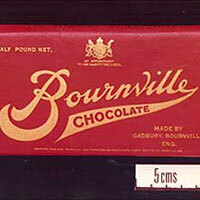 Now every new chocolate product we create starts life at Bournville. 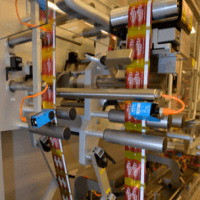 A £75 million investment into four new state-of-the-art factory lines reinforces Bournville’s position at the heart of the British chocolate industry. The Chocolate Research & Development programme launches at our Global Chocolate Centre of Excellence in Bournville and the hunt for our next generation of chocolate inventors begins. 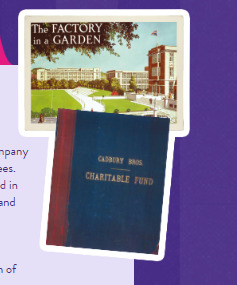 June 19th 2015 marked 80 years of the Cadbury Foundation! In this year alone more than £600,000 was donated to causes across the UK & Ireland, including Help for Heroes, The British Paralympic Association and The Princes Trust. August 14th 2015 marked 25 years of choctastic fun at Bournville’s Cadbury World attraction, featuring the world’s biggest Cadbury shop. 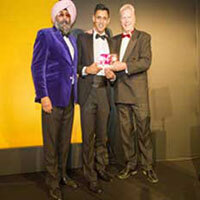 For the 3rd consecutive year, the Food & Drink Federation Apprentice of the Year award was handed to a Mondelēz International apprentice from Cadbury. 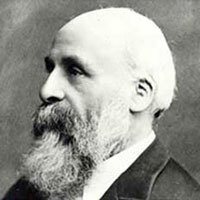 In 1824, John Cadbury opened a grocer's shop at 93 Bull Street, Birmingham. Among other things, he sold cocoa and drinking chocolate, which he prepared himself using a pestle and mortar. John's wares weren't just inspired by his tastes, they were driven by his beliefs. Tea, coffee, cocoa and drinking chocolate were seen as healthy, delicious alternatives to alcohol which Quakers deemed bad for society. 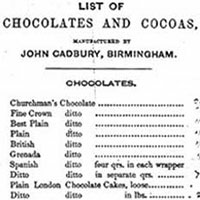 By 1842 John Cadbury was selling no less than 16 varieties of drinking chocolate and 11 different cocoas! The earliest preserved price list shows that you could buy drinking chocolate in the form of both pressed cakes and powder. The chocolate varieties boasted titles like 'Churchman's Chocolate', 'Spanish Chocolate', and 'Fine Brown Chocolate'. Cocoa was sold as flakes, in powder and in nibs, and went by names including, 'Granulated Cocoa', 'Iceland Moss', 'Pearl' and 'Homeopathic'. It's intriguing to imagine what the ingredients might have been! 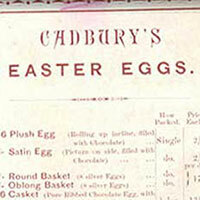 The turning point for the Cadbury business was the introduction of a new processing technique, resulting in the 1866 launch of 'Cadbury Cocoa Essence', the UK's first unadulterated cocoa. Before Cocoa Essence, the cocoa Cadbury produced, like that of many other manufacturers, contained high levels of cocoa butter. They had to add starches to mask its taste and texture. But George Cadbury had heard about an innovative cocoa press being used by a Dutch manufacturer called Coenraad Johannes van Houten. The press squeezed out much of the cocoa butter from the beans so it wasn't necessary to add starches. Could this be the way forward? Buying the press was a massive gamble. It was expensive and the brothers had little money. It had to be used for mass production and no one knew if there'd be enough demand for the product. But the Cadbury brothers decided to go for it - the first British manufacturer to go down this route. It was a momentous step, one that changed the British cocoa business and led to the future prosperity of Cadbury. The press was installed in their factory in Bridge Street, Cadbury Brothers' new product appeared. Cocoa Essence was extensively advertised as 'Absolutely Pure. Therefore Best', alongside medical testimonials. The marketing of Cocoa Essence helped increase sales dramatically and transformed a small business into the worldwide company that Cadbury is today. In 1875, a Swiss manufacturer called Daniel Peter added milk to his recipe to make the first milk chocolate bar. This wasn't a completely new idea. Cadbury produced their milk chocolate drink based on Sir Hans Sloane's recipe between 1849 and 1875; and Cadbury added their own milk chocolate bars in 1897. However Daniel Peter was still way ahead of them – using condensed milk rather than powdered milk to produce a chocolate with a superior taste and texture. Another Swiss manufacturer invented the conching machine in 1879. This refined chocolate, giving it the smooth texture we know today. Swiss milk chocolate dominated the British market – a situation the Cadbury family set out to challenge in the 20th Century. J.S. Fry & Sons merged with Cadbury in 1919 but the name of the bar remains. Fry’s Turkish Delight - rose-flavoured Turkish delight draped in milk chocolate - is a long-standing favourite. This luxurious treat was flavoured with genuine Otto of Roses and moulded without starch for a smoother finish. The slogan 'Full of Eastern Promise’ has been used since the end of the 1950s. It was particularly well known in the 1970s and 1980s through popular TV advertising, which tended to involve mysterious ladies in exotic desert settings. 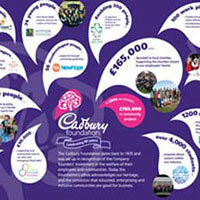 The Cadbury Foundation was set up in recognition of the company founders and their investment in the welfare of their employees. The Cadbury brothers, George and Richard Cadbury, believed in creating a prosperous, enterprising and inclusive community and their passion is echoed in the work the Foundation do today. Launched in 1948, Fudge is most famous for its 1980s and early 1990s advertising jingle 'A finger of fudge is just enough to give your kids a treat'. The words were new, but the tune was borrowed and based on a traditional English folk song, 'The Lincolnshire Poacher'. 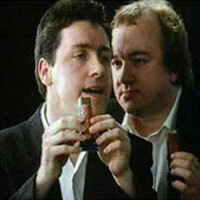 Cadbury's ad for drinking chocolate was one of 24 that were shown on ITV's launch night. The advert was based on the popular panel game 'Twenty Questions'. Picnic, made of caramel, raisins, peanuts and Cadbury milk chocolate, was launched in 1958. The picnic's nobbly, funny-looking shape is also one of its plus-points – it's marketed in Australia as ‘deliciously ugly'! The milk chocolate bar with a caramel and wafer centre launched in 1960, with the slogan ‘It's got a crunch in the biscuit and a munch in the middle'. A classic 1960s TV ad for Skippy shows a swinging London couple getting off their scooter and going into a trendy coffee bar to pick up their Skippys. The merger happened after the new Cadbury Chairman, Adrian Cadbury, was approached by his opposite number, Lord Watkinson. 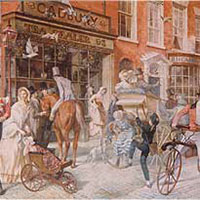 Cadbury commented 'We had great opportunity, which was that of broadening the market for Cadbury brands geographically and that required the concentration of effort behind major brands, the ability to give better value to the customer and more in the way of financial resources than the firm then possessed'. Curly Wurly, made of chewy caramel covered in milk chocolate, first appeared in 1970. It's evolved over the years - the recipe was changed so that the middle was softer, making the milk chocolate less likely to drop off. It's still popular and seems to remind grown-ups of when they were young. Cream-filled eggs first appeared back in 1923, but the Cadbury Creme Egg we know and love today didn't hit the shelves until 1971. Sales really took off in 1975 when Cadbury Creme Egg became a cult through the power of TV advertising. The eggs are delivered to the trade for sale between January and Easter every year, with about 1.5 million Cadbury Creme Egg eggs made every day at the Bournville factory. They're made in two halves, both filled with white and one additionally filled with yellow fondant. The two halves are closed together quickly and there it is - a Cadbury Creme Egg. With its milk chocolate shell, creme fondant and yellow 'yolk' Cadbury Creme Egg is absolutely unique in the market, and over 200 million of them are sold in the UK every year. Launched nationally in 1983 after a trial run in the North East of England, Wispa was available throughout the 1980s and 1990s. Early TV campaigns used the power of celebrities to create impact featuring comedians and comic actors including Mel Smith, Paul Eddington, Nigel Hawthorne, Victoria Wood, Julie Walters, Peter Cook, John Le Mesurier and Arthur Lowe who talked about it in a series of ads. A teaser campaign in the press asked 'Have you heard the Wispa?' - but it didn't divulge that they were ads for a new chocolate bar.Launched nationally in 1983 after a trial run in the North East of England, Wispa was available throughout the 1980s and 1990s. Early TV campaigns used the power of celebrities to create impact featuring comedians and comic actors including Mel Smith, Paul Eddington, Nigel Hawthorne, Victoria Wood, Julie Walters, Peter Cook, John Le Mesurier and Arthur Lowe who talked about it in a series of ads. A teaser campaign in the press asked 'Have you heard the Wispa?' - but it didn't divulge that they were ads for a new chocolate bar. Because of Wispa's popularity during it's temporarily relaunch, Wispa came back into full production in October 2008. The Vic Reeves and Bob Mortimer's much-loved Stagecoach ad in 1992 (complete with surreal strapline ‘It's slightly rippled with a flat underside') was a classic of its time. Fuse exploded into the UK marketplace on ‘Fuesday' 24th September 1996. It was a chocolate bar with a difference – instead of having a milk chocolate coating on the outside, the yummy ingredients were suspended right the way through it. 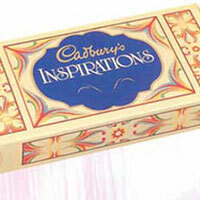 40 million bars were sold in the first week, and within eight weeks it was the UK's favourite confectionery. Alas, Fuse fizzled off the shelves ten years later, but it's fondly remembered to this day. Cadbury Heroes started life as Cadbury Miniature Heroes in September 1999. It's a simple idea – a mix of miniature Cadbury bars in a tub format to share. The miniature bars include Cadbury Dairy Milk, Cadbury Dairy Milk with Caramel, Cadbury Dairy Milk Whole Nut, Twirl, Fudge and Crunchie. The brand featured as part of Cadbury's sponsorship of Coronation Street, where people play jokes on each other whilst they share a tub of Heroes. Cadbury Schweppes had the ambition to become the world's leading confectionery company but it was going to be hard to achieve through chocolate or sugar. Large chocolate companies tended to be family-owned and not for sale, and in sugar confectioners, a field in which there were few major brands. 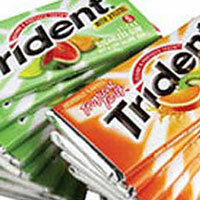 However chewing gum had big brands, growth and margins. In 2003, Cadbury bought the world's number 2 gum manufacturer, Adams and achieved its aim of leading the market. 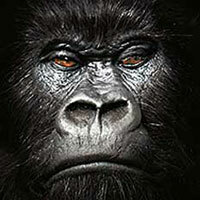 Gorilla showed the eponymous primate enthusiastically playing the drums on the Phil Collins record 'In the Air Tonight'. It proved hugely popular and cleaned up at advertising awards ceremonies, winning many prizes including the prestigious Grand Prix Lion at Cannes in 2008. 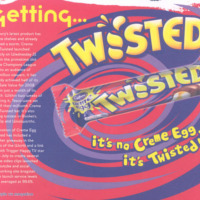 Filled with fondant ‘goo' the Twisted bar was launched to make the Cadbury Creme Egg experience available all year round.Filled with fondant ‘goo' the Twisted bar was launched to make the Cadbury Creme Egg experience available all year round. 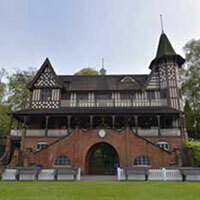 Cadbury invested £1 million in restoring the Men's Pavilion in Bournville to provide employees with a new gym and fitness centre. 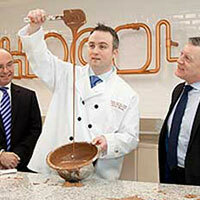 A £75 million investment into four new state-of-the-art factory lines reinforces Bournville's position at the heart of the British chocolate industry. 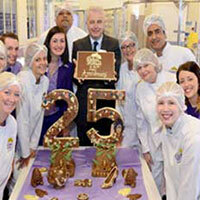 August 14th 2015 marked 25 years of choctastic fun at Bournville's Cadbury World attraction, featuring the world's biggest Cadbury shop.